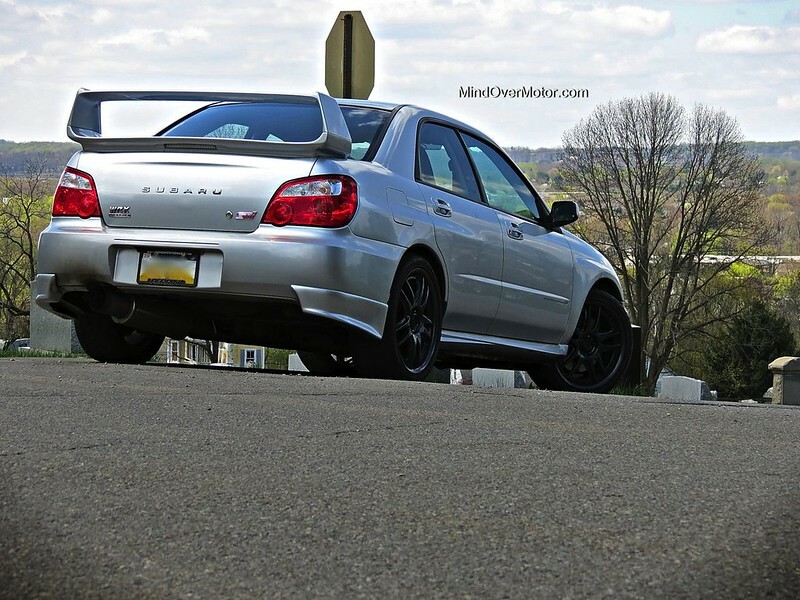 It has been nearly three years since I began working on Mind Over Motor, and for some reason I have not gotten around to reviewing the car I know the best in the world, my 2004 Subaru WRX STi. For most, it would’ve been the very first car to review, but I wanted to focus more on finding ways to get other cars and setting our foundation around that. 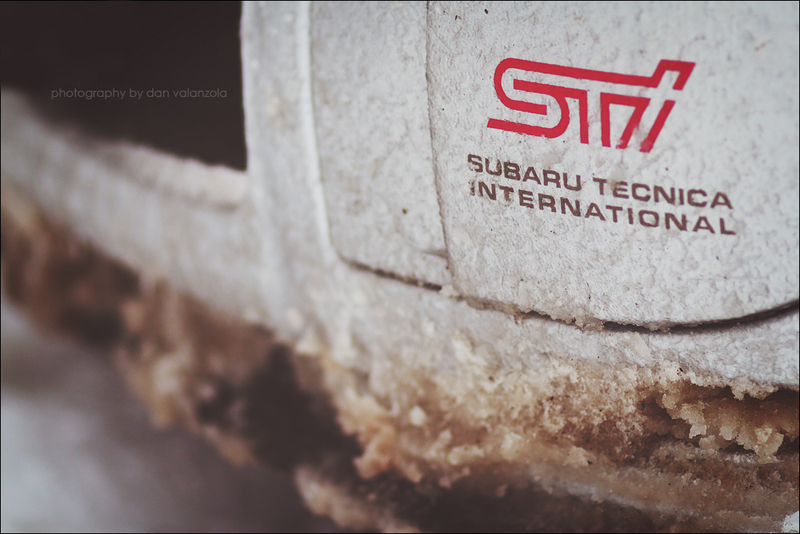 Having said that, I do think it is high time that I do a proper article on my beloved Subaru, and what better way to begin 2014? Incidentally, this article will also debut a new style of car review for me, on Mind Over Motor. It is one with a question and answer structure that will hopefully be more conversational in feel. Let me know what you think of the new style, and any suggested improvements you may have in the comments. So with that, lets start talking Subaru. 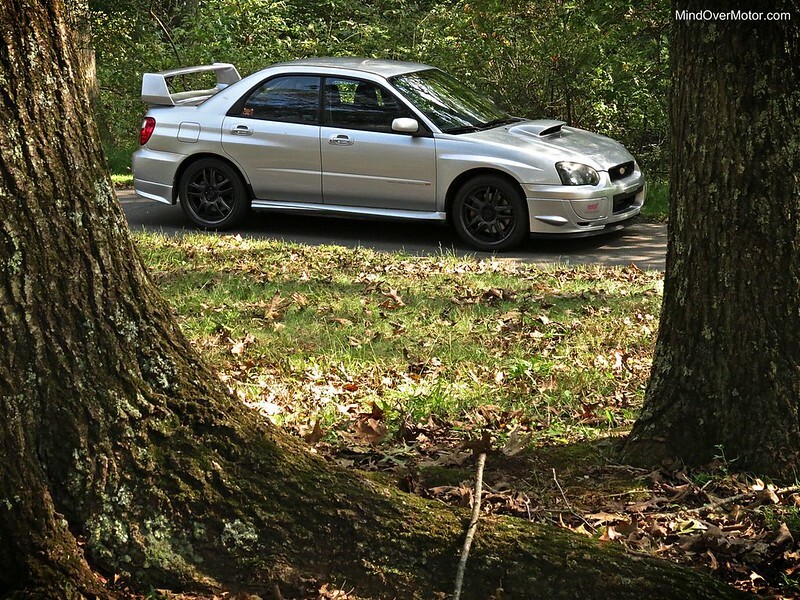 How long have you had your Subaru STi? 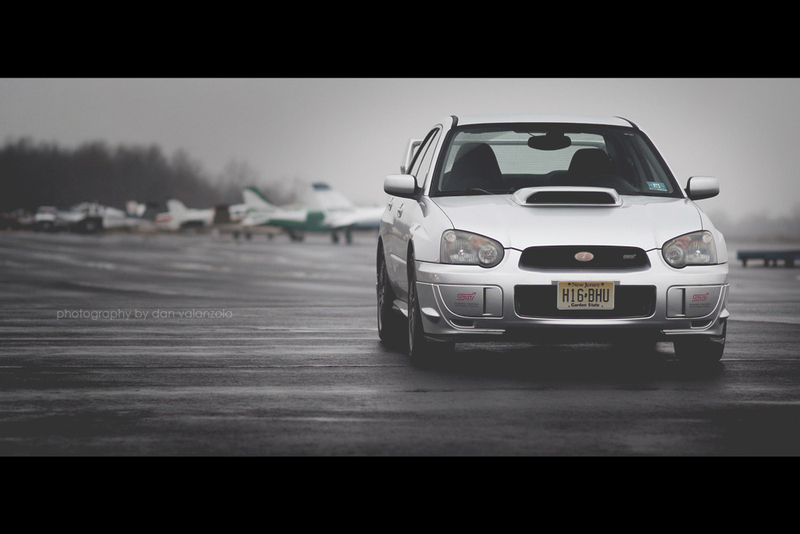 This STi was actually my first car that I got right when I received my driver’s license in 2006. Yes, mommy and daddy bought it for me, and yes, I know many people may think I’m spoiled. That said, it is definitely a gift that I have greatly appreciated because here we are, over seven years later, and I still have the car. What was it like learning to drive on a car with such performance? Naturally, you could imagine that my parents were a bit hesitant to buy their son a 300hp rally machine as a first car. Statistically, most teenagers write off their first cars, and especially when said cars have a lot of performance. I managed to avoid writing off my STi because I approached driving very seriously. I will not for one second tell you that I didn’t do any stupid things, but I like to say that I was always “smart” about being stupid. I eased my way into learning how to handle the performance of this monstrous Subaru, and the fact that it could perform at a level where most cars would lose control actually kept me out of the ditch more than a few times. 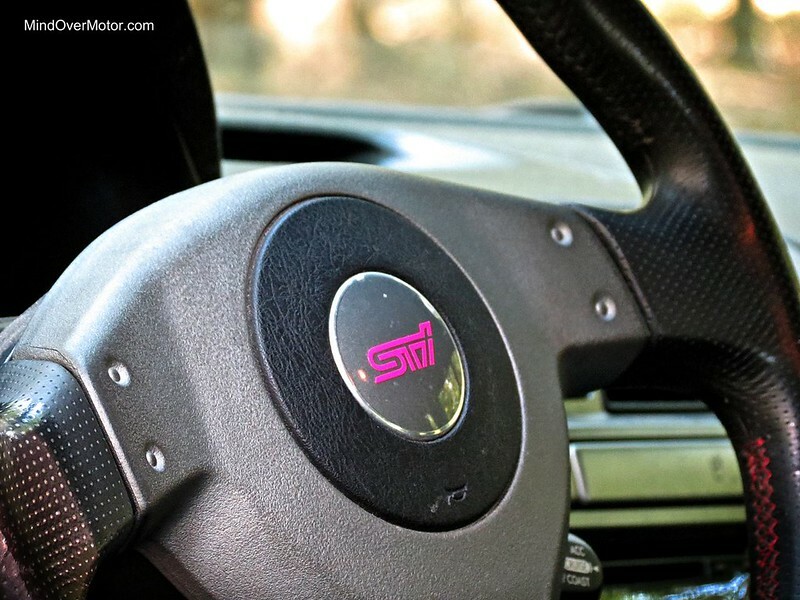 What is the STi like to drive? The STi is a total blast to drive in pretty much any situation. Its brutal acceleration mixed with its handling prowess give it staggering real world pace, and it also has the involving driving dynamics that enthusiasts lust over. Steering is dead accurate, and lets the road talk to you nicely. Its somewhat heavy clutch engages abruptly, and the gear-throw is short and crisp. Then STi’s chassis lets you feel everything that is going on on the road surface, and you know exactly what the car is doing at all times. In terms of speed, the STi’s power hits hard, and it really puts you back into your seat. A few times I’ve made the mistake of leaving my phone in the cubby-hole below the radio, and upon full throttle, the phone proceeds to be launched into the back seat of the car. The STi pulls very hard, especially in the lower gears, and it has definitely been a thrill ride for my friends and I over the years. Quick passing spurts up to around 80mph happen almost instantaneously, and with a wonderful rush of torque that will leave you craving for more. The power is definitely a large part of the experience in my STi, but it is far from the whole picture. Once I learned how to really push the car through corners, my appreciation for this machine reached an entirely new level. It has an unshakable composure over rough and varied road surfaces, and a level of grip that will bend your mind. You can feel the suspension working hard on winding bumpy roads, but even as you push harder, the STi never becomes skittish. It always goes exactly where you point it. This chassis composure is one of the main things that continues to set this car apart from many others in my mind. In addition to its steadfast composure on rough surfaces, the STi’s chassis is also really well balanced, and easy to work with in a corner. There is a touch of understeer right at the limit, but oversteer is just a prod of the throttle away, and the rush you get when all four wheels let loose in a slide is truly intoxicating. The STi’s braking is also quite impressive, especially by 2004 standards. These days, everyone has Brembo brakes, but back then they were really a special feature on a car costing just $30,000. The Brembo brakes on my car have saved me more than a few times during the last seven years, and I can recall two incidents, in particular, where I would not have been able to stop in time had I been in a car with any less braking force. In terms of safety, the STi’s high performance brakes are invaluable. The only disclaimer I would add about the brakes is that the minivan behind you won’t be able to stop in time if you simply slam on them, so it is important to be aware of your surroundings, and maybe pulsate the brake pedal if necessary. All I understand are numbers, how fast is your STi, bro? -Top Speed is gear limited to 178mph, I’ve personally seen 160mph. 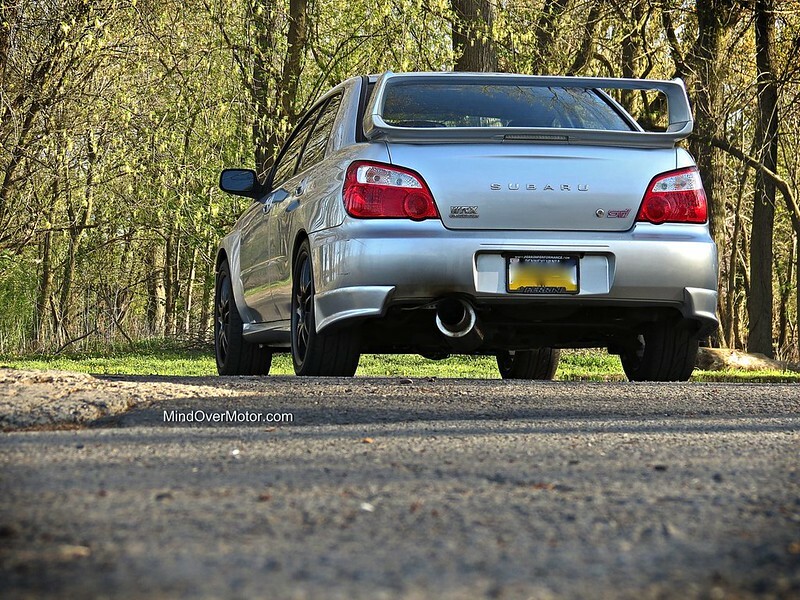 How is the STi in comparison to other cars you’ve driven? When I first got my STi, the performance was otherworldly. At the time, I was used to my dad’s Porsche 944 S2, which was a great car, but was nowhere near the level of the Subaru in terms of raw performance. Today, I have driven many much faster cars, which has sort of put the performance of my STi into context. Even so, with my experiences in supercars of many sorts, the performance of my STi is still extremely exciting. If anything, my Subaru has taken on a greater appreciable depth thanks to my experiences in other high performance cars. The reason you buy an STi is because of the driving experience. It isn’t about polish, it isn’t about style, and damn sure isn’t about comfort. What it is about is charging down back roads with vigor, and leaving the tarmac smoldering in your wake! The truth about the STi is that it probably wouldn’t get an A+ in any one aspect of its performance on a grand scale. 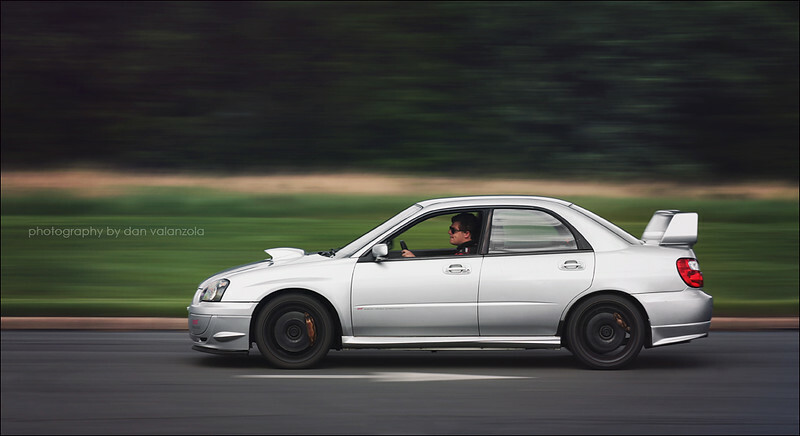 However, unlike many respected cars out there, it would manage high Bs and low As across the entire board, and it is this well-rounded nature that makes the Subaru STi so damn appealing. Those who follow Mind Over Motor know that I have driven all types of cars in a variety of situations, everything from my old Mazda Miata to a Lamborghini Aventador. What I can tell you about where the STi fits into the mix is that it occupies a sort of the happy medium between these two extremes. The tight gearing of the STi gives it a fantastic level of precision for every corner you will come across on a winding back road, but it also has the horsepower to achieve a pretty solid amount of speed if you have the room to stretch out the higher gears. Where something like a Miata is fun under 80mph, a Lamborghini can barely be driven with any aggression at speeds less than 100mph. I had to really stretch my Miata to even hit 101mph, and a Lamborghini is just shifting out of 2nd gear at that speed. The STi, on the other hand, is topping out 4th gear at just over 100mph, with the longer-ratio 5th and 6th gears to go. That means you have four gears to play with at “sane” speeds, and two higher gears that can take you up to “insane” speeds. 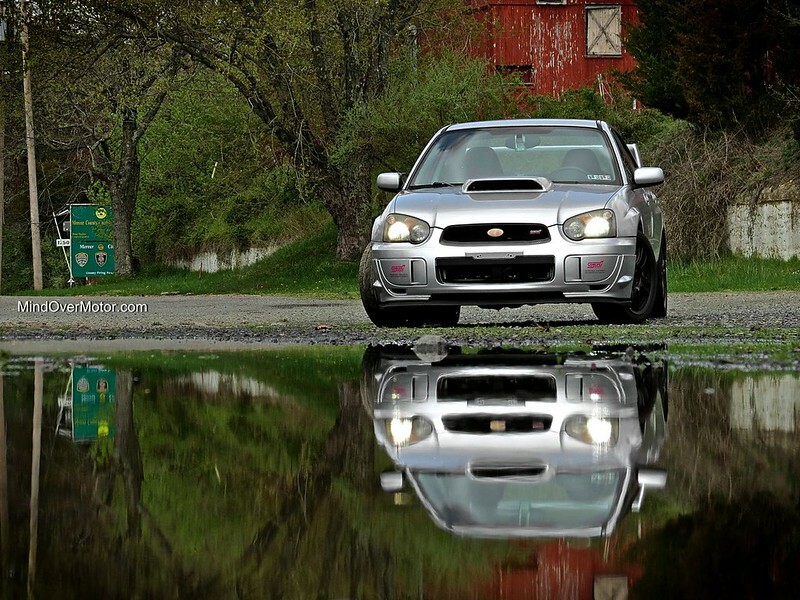 As a result, it is easy to call upon the STi’s full performance in a wide variety situations. The Subaru WRX STi may not be a 200mph supercar like a Lamborghini, but it can manage a solid 170-175mph, if you really stretch it out. I’ve personally had my STi up to 160mph back in my less mature days, and it did it with no problem at all. While it is capable of doing “big” speed, it is also just as happy squirting from corner to corner on a tight, windy road like a Miata, Boxster, or Z4. 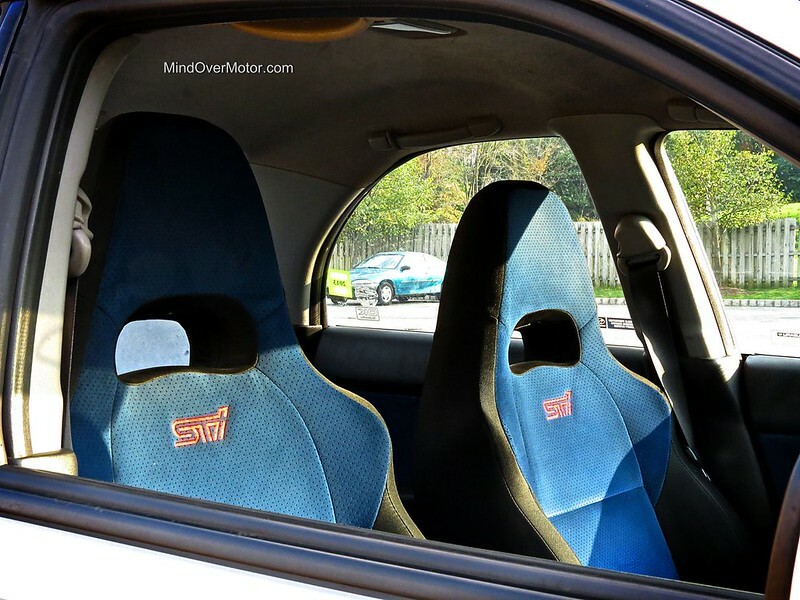 What modifications does your car have? Perrin short ram intake, Samco turbo inlet, Perrin top-mount intercooler, Perrin equal length headers and uppipe, TurboXS turbo back exhaust, and a TurboXS manual boost controller. I am running a conservative custom tune (93 octane) via a Cobb Accessport at 18psi on the stock VF39 turbocharger. The car puts down around 310awhp and 340awt (380-400hp and 420-440ft/lbs from the engine). Just front and rear swaybars, set up for a little less understeer. Stock Brembos with Hawk HPS pads. -Bridgestone Potenza RE760 tires on Volk GTV wheels in the summer. -Michelin Pilot Alpins on the stock BBS wheels in the Winter. Both sets of tires need replacing soon, though. 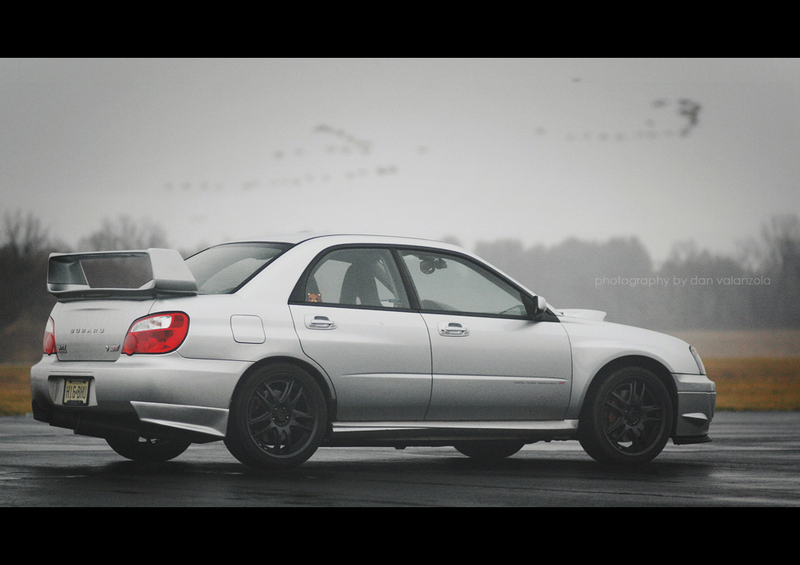 In general my goal has been to make my STi better at being the sort of car that it was originally intended to be. It had a lot of serious performance hardware straight from the factory, and I have left most of it in place. At this point, I think of it as something like a Subaru version of the Mitsubishi Evo FQ400 sold in the UK. I added power to the car because the stock chassis was ready for more. The biggest thing was the turboback exhaust with the larger downpipe. It allowed the car to hold boost better, and did a lot to increase the STi’s top-end performance; the power no longer seems to fall off after 4th gear. I have left the suspension mostly stock because I drive a lot of rough, rally style roads with varied pavement, so I need the suspension travel. The STi suspension is already an upgrade over the WRX’s “sport suspension,” so to really see a difference, without just doing coilovers for the hell of it and likely ruining my handling, I’d need to spend a lot of money. Having said that, I like how the car handles as-is, so why fix what isn’t broken? One great thing about turbocharged Subarus, WRXs or STis, is that they make some nice power gains with very basic modifications. 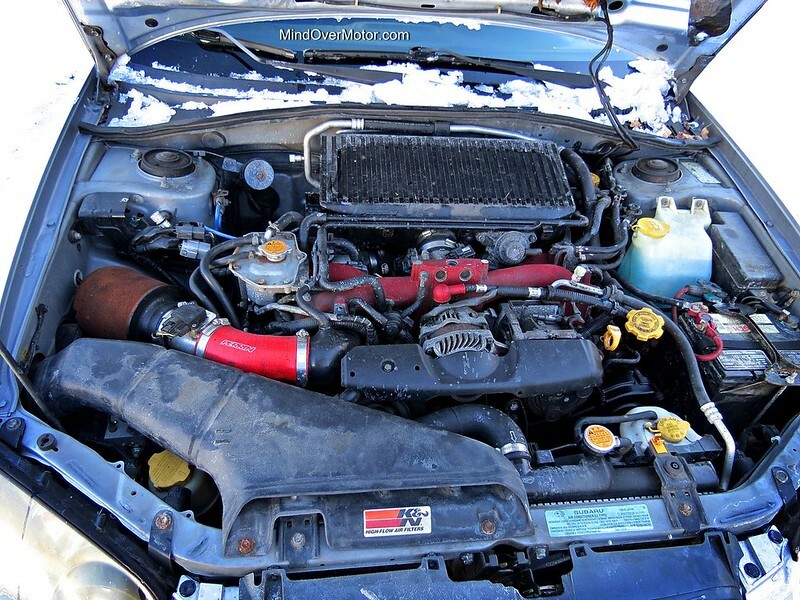 In general, “Stage 1” consists of an ECU reflash alone, and “Stage 2” consists of a turboback exhaust, an intake, and a more aggressive reflash of the ECU with higher boost. If memory serves me correctly, this GD generation of Subaru STi makes around 230-240awhp in stock form. Stage 1 will generally get you to around 250-260awhp, and stage 2 will net around 270-280awhp (all at sea level on 93 octane). Going a little further with parts such as equal length headers and an intercooler, as I have, should get you over 300awhp with a custom tune. Again, my car is tuned pretty conservatively, so higher numbers can definitely be had if you don’t care about reliability and all of that nonsense. It is around this stage that STis hit a bit of a wall with their power gains from basic modifications. You see, at this point the stock turbo, stock fuel injectors, and stock fuel pump are all nearing their limits. I have seen someone get 350whp out of a stock VF39 turbo on an STi, but if I remember correctly he was running racing gas, methanol injection, and a very aggressive setup. Personally I have no interest in pushing things like that because a broken car is a useless car. I like to keep things simple, and make what I make on pump gas alone. In general, the most you should expect from the stock VF39 turbo is 330awhp or so, and that will likely be with bigger fuel injectors and a fuel pump. Since the car will need to be tuned anyway for this setup, you might as well just throw on a bigger turbocharger and actually get your money’s worth in power gains. Obviously the sky is the limit once you decide to replace the turbo, however the STi does throw another large limitation at you here. The limit of the stock pistons is around 400awhp (give or take), so if you are going to push that much, be sure to keep a few extra grand laying around for when your engine decides to pop. When my Subaru was being tuned, I had a great talk with the man doing the tuning. He told me about his 580awhp STi, and how it could beat some pretty serious motorbikes to 160mph. I was in awe, and I wanted that in my life, but then he told me how, despite all of that, my car, with a mere 300awhp, was probably more fun, overall. I spent the next year disregarding that advice, and I even bought myself a Blouch Dominator 3 Turbo (~430awhp capable)… I was going to turn my STi into a supercar! But then I actually drove a few supercars, and I realized, that no matter how much power I put into my STi, it would never have the same purposeful feel at speed that a Ferrari or a Lamborghini did. So in a nutshell, I sold the big turbo and the rest of the parts I had bought, before ever installing them, and I bought a Miata instead….. best… decision… ever! For the future, if I ever do decide to fit a bigger turbo on my car, it will likely be some sort of 20g (a size down from the Dominator 3). From what I’ve seen, a 20g with a pretty safe tune can see 360-380awhp on my car (with supporting mods, of course), and that is just about ideal for what I want from my STi. Until then, though, I am plenty happy with my ~300awhp setup. 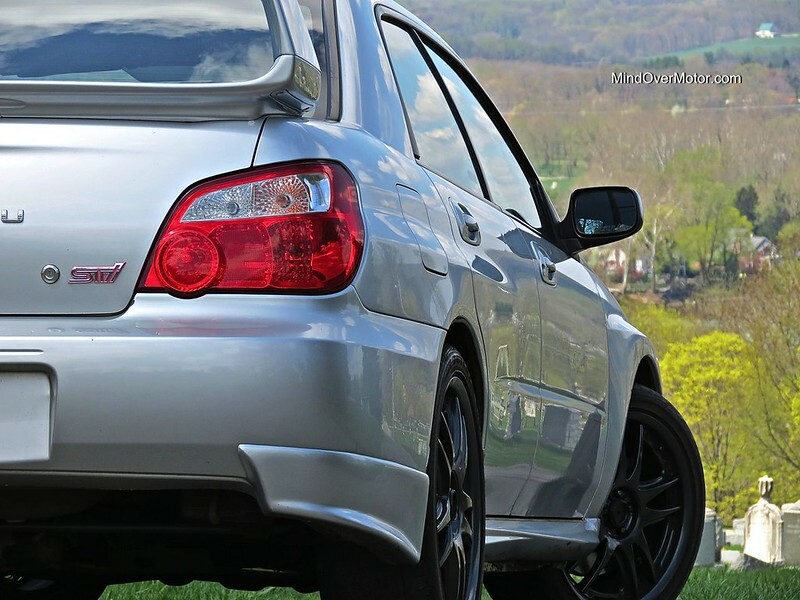 Is the Subaru WRX STi better than the Mitsubishi Lancer Evolution? Ah yes, that age old question, which rally car is better? Clearly I chose the STi, so I think so, but I chose it for reasons of personal preference. I will say right away that if you are looking for horsepower between these two, the Mitsubishi Evo is the car to go with. The Evolution is also probably a better out-of-the-box track day car for those looking to embarrass Porsche owners at their local road course. However, that’s where the advantages end for the Evo. Subarus are also way more reliable than Mitsubishis, in general, and the STi feels a lot more solidly screwed together than the Evo does. 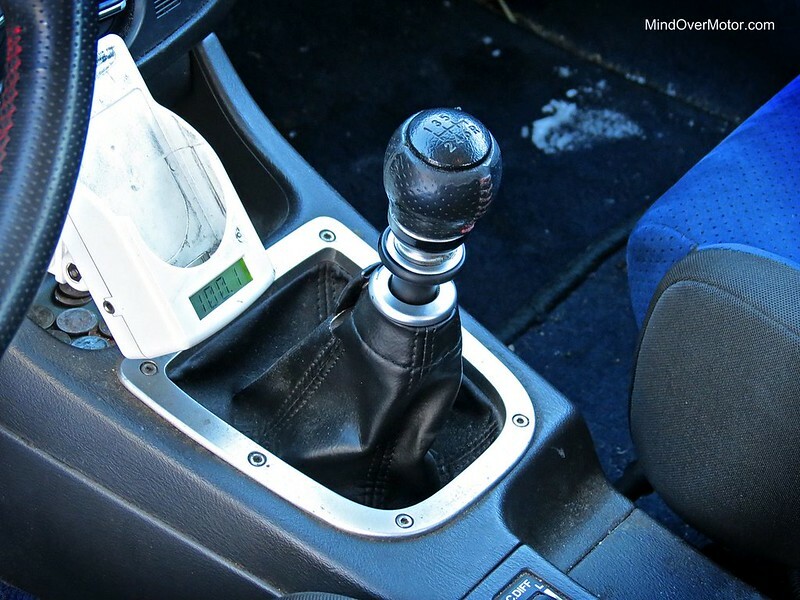 The biggest thing for me was the transmissions: the Subaru had a bulletproof 6-speed manual with nice gear ratios, and the Mitsubishi had a much weaker 5-speed manual with awful gearing. Not to mention, an STi costs a bit less to insure than an Evo does, seemingly because less idiots buy Subarus than Mitsubishis. In truth, those who just want a ton of horsepower shouldn’t buy either an Evo or an STi. Both need their engines rebuilt before 500awhp, and both will have reliability issues once at that level. When I decide I want that kind of horsepower in my life, I will buy a Corvette, a Supra, or something else that is better built to handle a lot of power from the get-go. As for the STi vs Evo argument. Having sampled multiple versions of both, I say STi for street use, and Evo if you plan on seriously using it as a track-day car. I chose the STi for myself, and seven years later, I know I made the right decision. 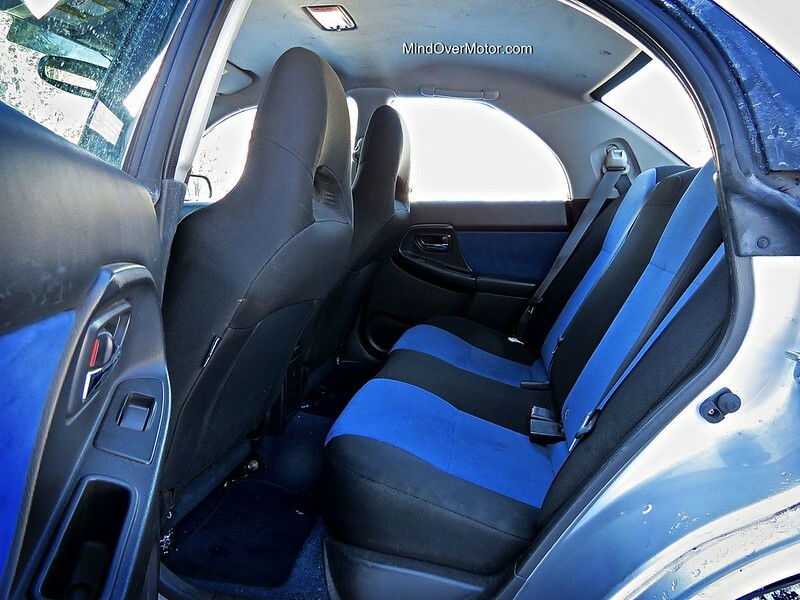 Is a Subaru STi practical on an everyday basis? Yes. Essentially it is just a Subaru Impreza, your typical four-door Japanese sedan that is about the same size as a Honda Civic. It has a useable trunk, and seats for up to five people… although the three folks in the back may get to know each other a little better than they’d hoped to. The interior itself is pretty basic, even by 2004 standards, but it does work, and has withstood the tests of time pretty well. Let’s be honest, nobody buys this car for it’s interior appointments, so all it need be is passable. 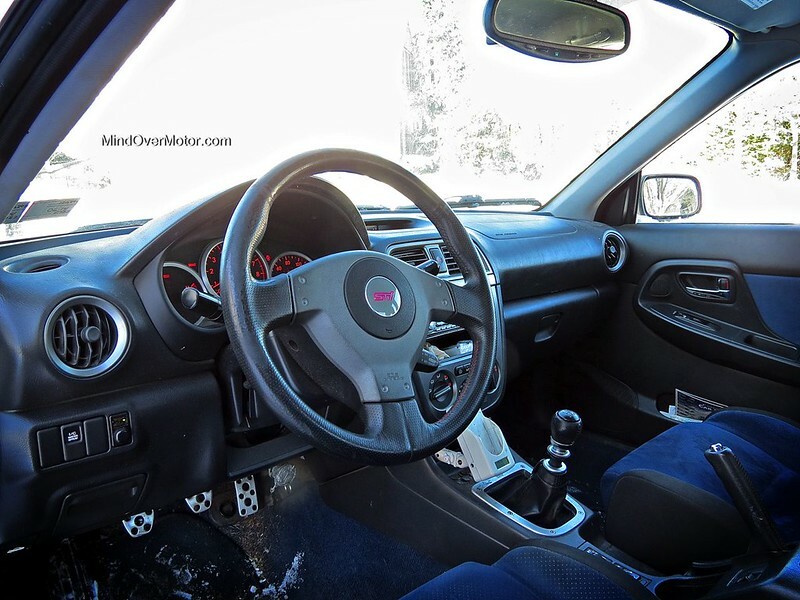 What are the drawbacks of daily driving an STi? The main thing I would say is that there always seems to be a little devil on my shoulder while I’m driving my car, and it can cause frustration. You see, the STi can easily hold highway speeds on most winding country roads, and that is fantastic when there is no traffic. However, when other people are on the road, which is most of the time, I find myself getting angry at them for doing the speed limit, let alone those God-forsaken fools who drive under the speed limit… they are the bane of my existence! Other people are the main problem when you’re in this car. The STi is at odds with the world; it is a stallion that wants to gallop, but the world usually keeps the reins tight. Additionally, while my Subaru is a ton of fun to drive when fun is the focus, it can be taxing when you just want to relax in traffic. It’s ride is also pretty harsh, especially for people who aren’t used to performance cars, so you may hear some complaining from passengers. The same goes for the sound coming from the exhaust. Sure, I cannot get enough of the roar of my 2.5L flat-four echoing off the trees when I am out having fun, or setting off car alarms in parking enclosures, but it’s constant drone on the highway does get old, if I’m honest. How is the STi’s fuel economy? I always say that my Subaru’s fuel economy is bad, but not quite bad enough to sell it. I typically average in the range of 16-19 mpg in mixed driving, depending on how heavy my foot is. That definitely isn’t great, but it’s still quite a bit better than many V8 cars with similar performance. On the highway, the highest fuel economy I’ve ever recorded from my STi was 25.1mpg, but it usually sees 22-24 mpg. In terms of cruise range, if it is all highway, the STi can do 325 miles or so between fill ups, but in mixed driving I fill up about every 200 miles. Oh yes, and my baby only sips on the finest fuel available. Premium 93 octane is the only thing on the menu with my custom tune. 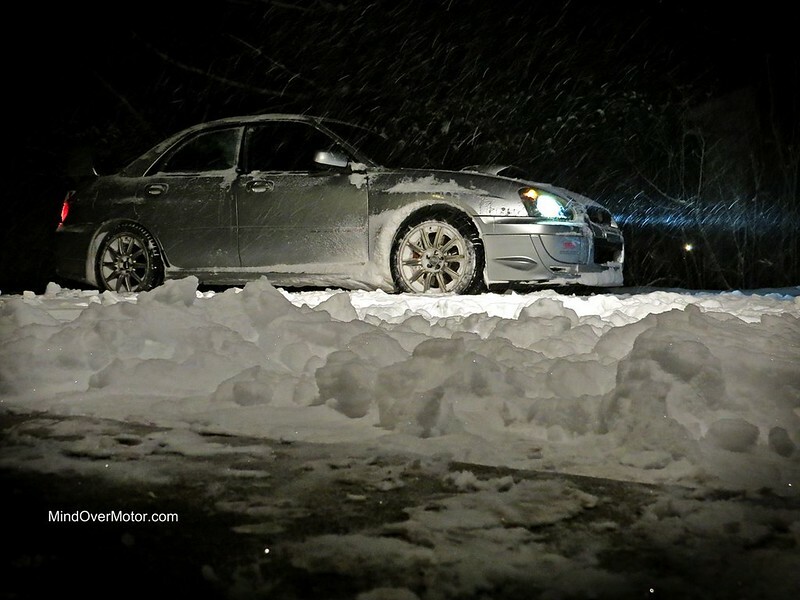 Is the Subaru STi reliable? In a nutshell, yes. STis are very reliable as far as high performance cars go, providing that they have not been heavily modified. As I mentioned above, the stock engine internals are only good to around 400awhp, and there are people out there who try to sell previously modified cars with blown motors. 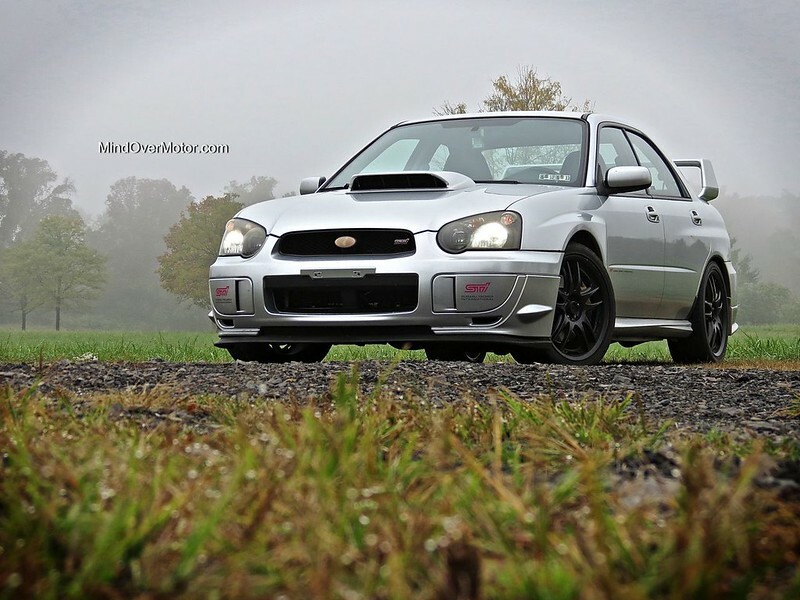 If you are looking for a reliable STi, then you really need to have it checked out by someone who knows Subarus to make sure that it hasn’t been put back to stock form after having been heavily modified. That is my number one piece of advice. Other than that, the question of how long an STi will last has a fairly generic answer: It will last as long as you are willing to put in the money and effort to take good care of it. All turbocharged cars are going to burn some oil once they are over 100,000 miles, and routinely monitoring your oil level is a must with turbocharged Subarus. You also need to be sure to stay on top of servicing the drivetrain components every 15,000 miles or so. As for my own experience with my car, most everything it has needed to go to the shop for has been my fault, either directly or indirectly. The car itself hasn’t had too many issues, other than the expected wear and tear kind of stuff you will see from any car. As far as maintenance costs, the STi isn’t as bad as, say, a BMW M3, but it is hardly a Honda Civic either. Any parts that are STi specific you can expect to be fairly expensive, but everything else is pretty cheap. 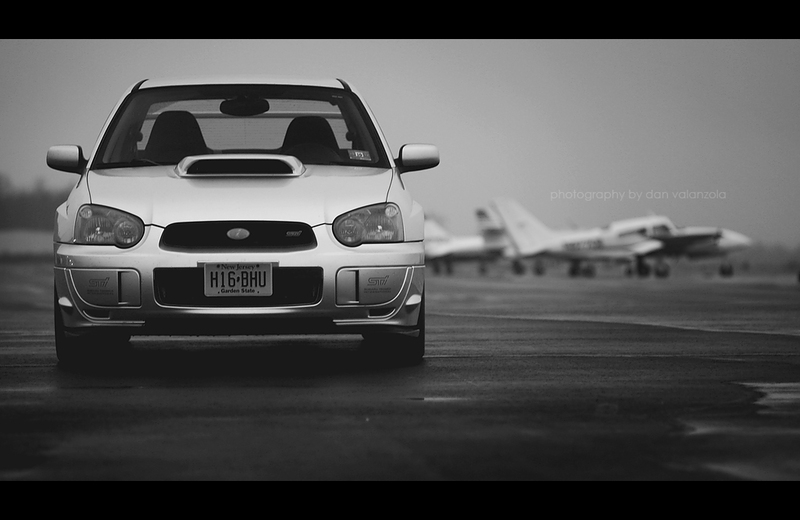 Overall, though, Subaru’s are very well built cars, and that includes the WRX STi. So long as you maintain it well, don’t beat the living hell out of it all the time, and keep it within the vicinity of it’s mechanical tolerances, then the STi should prove a pretty reliable car. Mine has, thus far. Does the STi get attention? Yes, but mostly just from dudes, ricer Hondas, insecure Mustang owners, undercover cops, and people who pretend to be undercover cops in their beige Toyota Camrys….. holding a fake badge out the window, and angrily screaming at you to pull over because you cut them off and they are MAD! The STi is very “boy racer-ish”, and it attracts the expected sort of attention. Most people don’t even know that the spoiler and hood scoop are functional, and come fitted from the factory. The STi’s performance does back up its aggressive appearance, but many people out there will want you to prove it. Those people who do know cars tend to love the STi, though. There are often times where I see people get excited as I pass by, even snapping a few photos on occasion. The STi is far from a Lamborghini in terms of the scene it causes, but it will draw a small crowd from time to time. How does the old STi compare to newer STI? The truth is, despite a lot of the details being similar, my STi and the new STI are two entirely different cars. Back in 2004, when the WRX STi first arrived on US soil, it was able to embarrass Porsche 911s and BMW M3s, cars that cost double the price. The Subaru STi was competing on a serious, world-beating level, and it earned the same respect in America that it had elsewhere in the world. 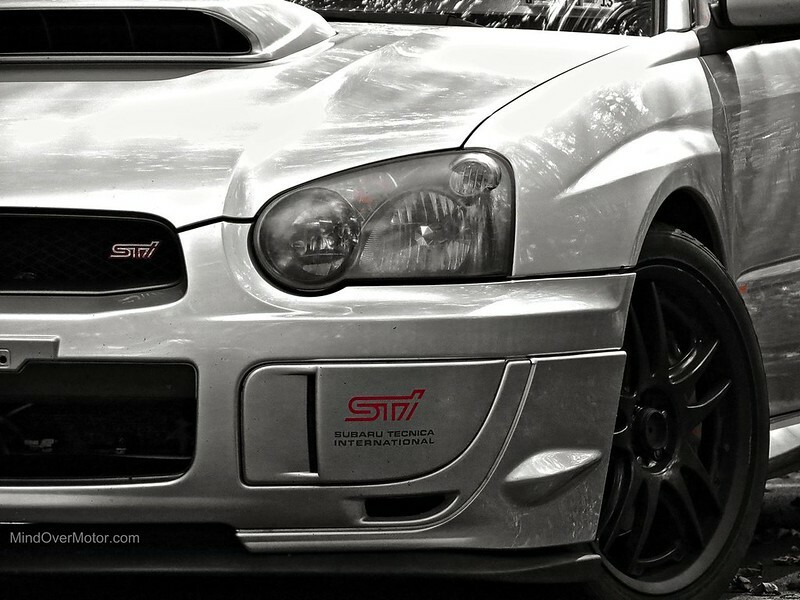 Since 2004, the overall package of the STI hasn’t changed too much. It still has 300hp, and if anything, the new ones have only gotten heavier with more, and more safety understeer tuned into the chassis. The rest of the world has moved on, and now the BMW M3 and Porsche 911 both have over 400hp. The STi simply does not compete on their level anymore, and now it will barely outrun the hot versions of the Mazda3 or Ford Focus, let alone challenge some of the biggest names in the business. So in terms of “prestige”, or whatever you wish to call it, the new STI doesn’t hold a candle to the older generation STi. 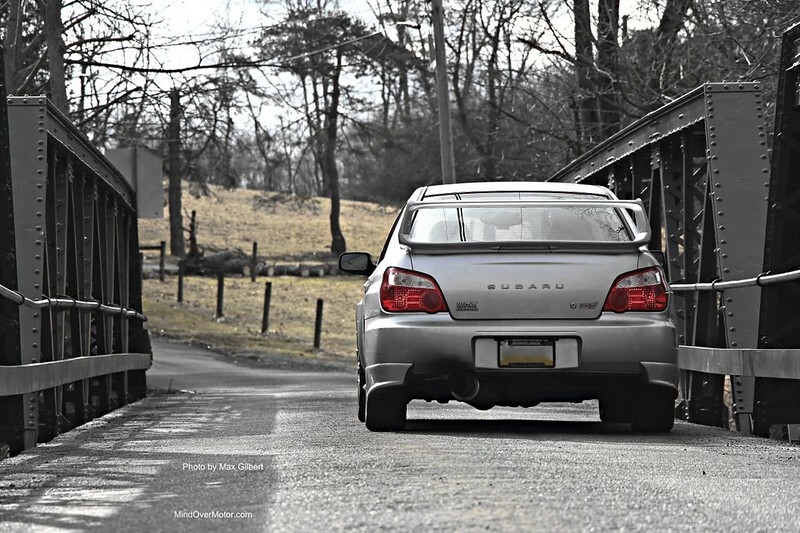 What are your favorite things to do in your Subaru? 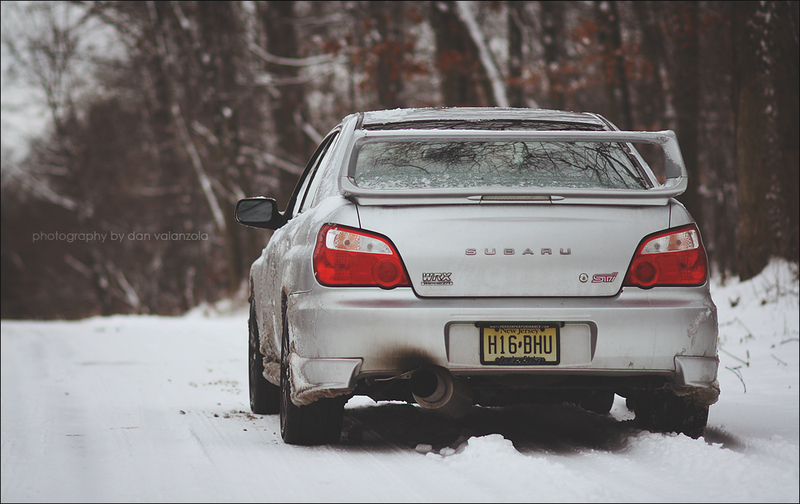 It’s a tie between snow drifting, and late night joyrides in the woods. 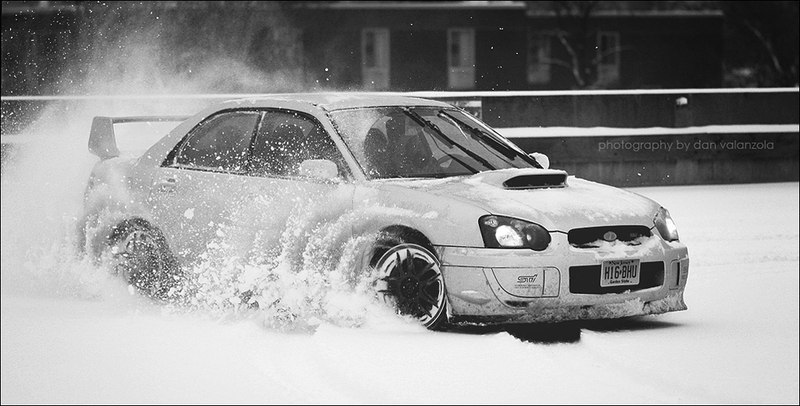 How much fun is the STi in the snow? Think about how excited a dog gets when you pull out a tennis ball to throw. Now imagine feeling that, every time you hear the weatherman speak of snow. 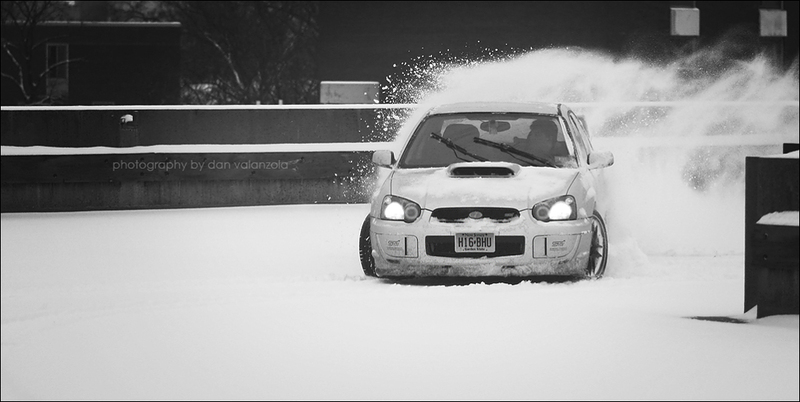 “Subaruing” in the snow is fun because oversteer is fun in general, but also because most people are out there terrified for their lives, and there you are, sliding around on purpose with a huge grin on your face. The reactions are priceless! The best time to go out, I find, is always during the actual storm itself because the roads will be mostly deserted… except for the odd snow plow. This lack of other traffic lets you really focus on turning the world into your own personal rally stage. Mischief aside, on my snow tires, I generally find myself doing the posted speed limit during snow storms, so long as I can see where I’m going. 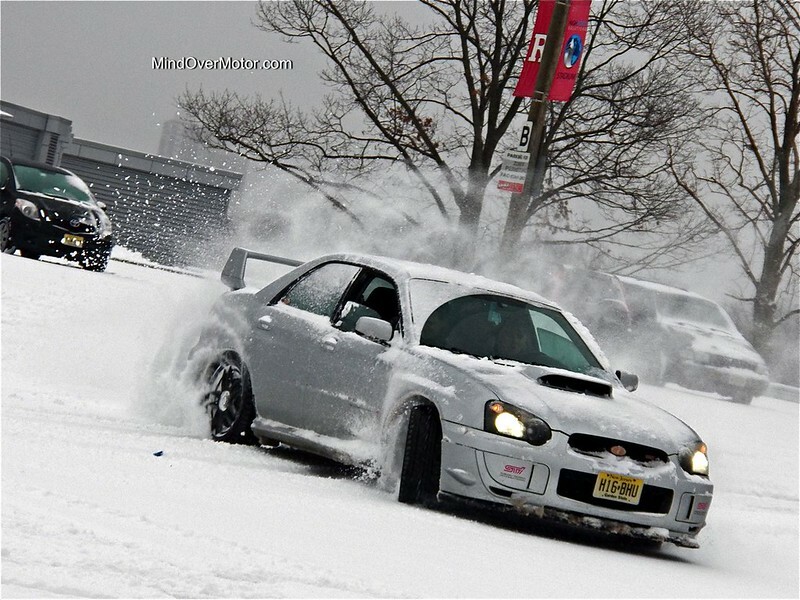 The STi is perfectly controllable if you are comfortable with drifting, and it will certainly get you where you need to go. The only thing to really watch out for, again, is every other motorist on the road, all of whom seem to be paralyzed with fear while barely doing 15mph. I’d also just like to add that in order to balance out the karma of my mischief, I do make it a point to stop and help anyone I find who has gotten stuck. 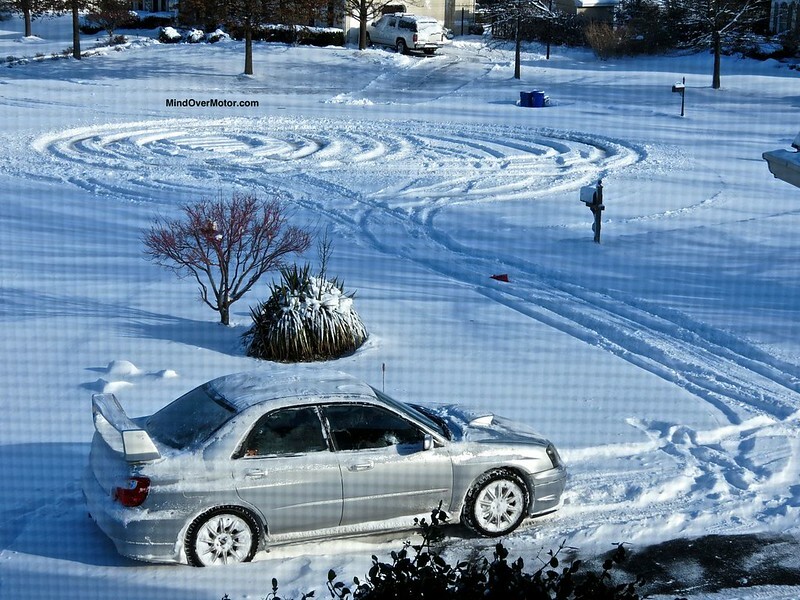 I even had to drive some kid’s M3 up a two mile, snow-covered hill, once. That was a laugh. 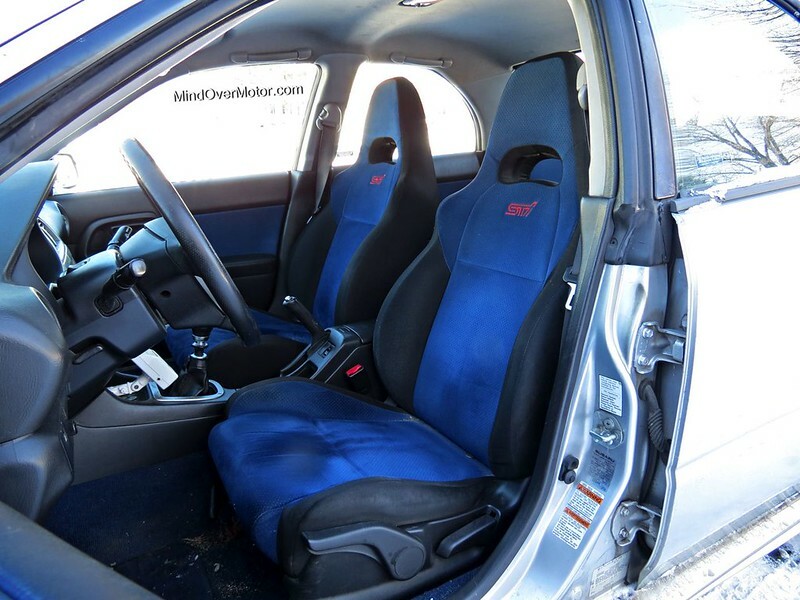 Is your STi for sale? 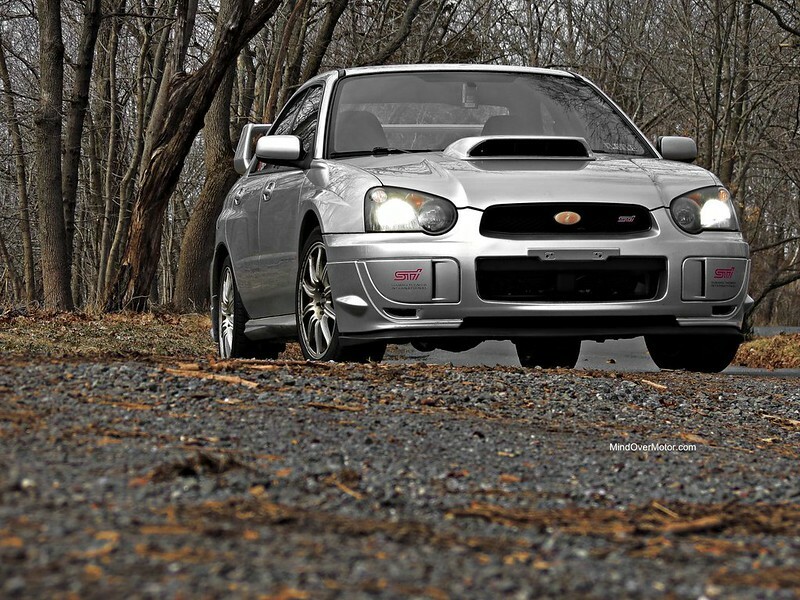 If you have $10,000 or more to spend, then you can likely find yourself a decent Subaru WRX STi. Obviously, $15,000 to $20,000 will give you some much more solid options, but it really all depends on what you want the car for. Again, if you plan on daily driving it, the main thing is to find an STi that hasn’t been heavily molested with modifications. However, if you are looking for an STi as a project car, then go ahead and buy the one for $7 grand with a shot motor. The Subaru STi is surely one of the big performance bargains out there. That was true when it was brand new for $30 grand, and it is even more true now when buying a used STi for $15 grand. 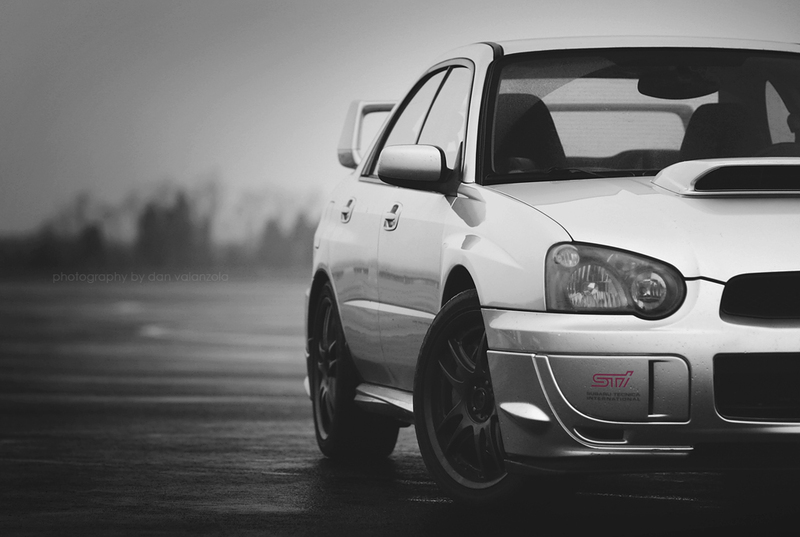 So finally I have done a proper review of my beloved 2004 Subaru WRX STi. I maintain that the STi is one of the best overall performance cars out there, and the 04, even all these years later is still my favorite generation. Obviously, I have been through a lot with my Subaru STi in the past seven years, and I do think of it as a friend as much as I think of it as a mere mode of transportation… like a loyal steed. The car has character for sure, and it definitely keeps life interesting. I remember how exciting the STi was back when I first got it, and it is still able to match that same level of excitement in a variety of situations today. Seven years later, I still absolutely love my car. Enjoyed this entertaining review! Like the new conversational format too! 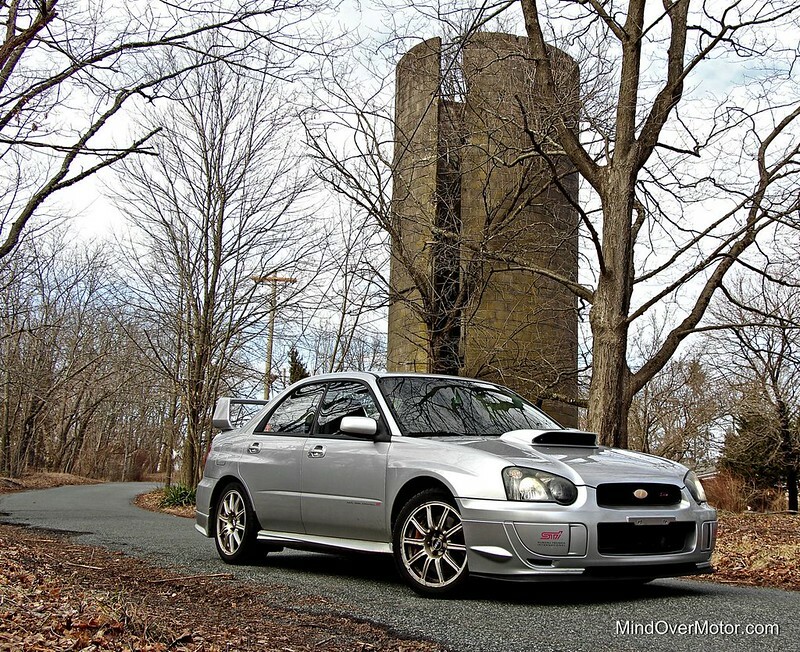 Great read man, I just got an 04 in January from my previous 02 impreza wagon. I really toyed with getting an wrx impreza wagon, but the STi came along and was the right price. She is definitely not in perfect shape but still a blast to drive. Cheers. Congrats! Yea they do take a bit of financial love from time to time, but overall they’re really worth it for what you get in terms of performance and driving satisfaction. I’ve just had to do all my wear items pretty much at once, brakes, tires and the clutch, which was quite expensive haha. I considered selling it, but the truth is that an M3, Evo, Mustang, etc will have all the same sort of issues to deal with. I love my STi, so its worth putting money into keeping her going. I’m sure you will love yours just as much. I’ve driven all kinds of cars for this site, but there’s nothing quite like a Subaru.